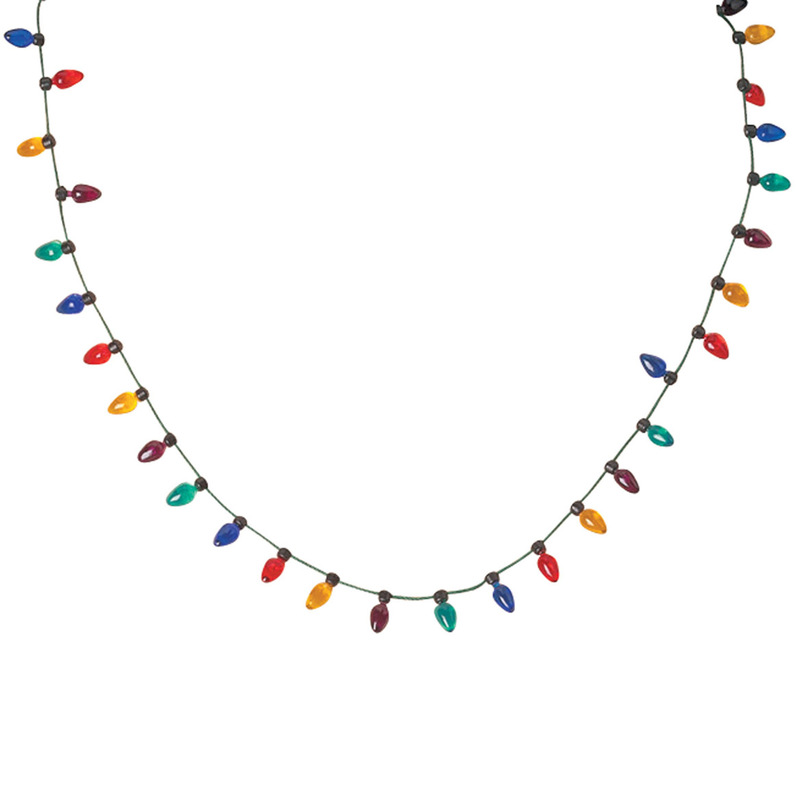 This necklace is a fun way to show your Christmas spirit. It could be worn anytime during the season and would be complimented on at parties. It says very, very clearly in the description that these don't flash or light up; there's a whole different product entry for the version that DOES. Read slowly, guys. I've had this necklace for a few years (it was given to me as a gift) and it makes a cute stocking stuffer. It's not the highest quality necklace but it's fine for what it is, a novelty piece. I love these necklaces; they really make me feel festive. They are a very good attention getter. Cute item for the holidays. I bought this several years ago, knowing it does not light up, and and it's just what I was hoping for. I didn't want something too big or something that lit up so I could wear it anywere, including the office. I pull it out for the Christmas season and it's fun to wear around the holidays. It's an easy way to dress up a plain turtleneck, and I get a lot of comments on it. I bought it a couple of years ago and it still works. Everytime I have worn it people have commented how cute it is. I am purchasing some for some co-workers as an inexpensive Christmas gift. The little lights on the necklace were smaller than I thought they would be. It is still a very cute necklace and I got several comments on it throughout the season. It is a cute little extra to wear on Christmas day. It does look a little cheap and the clasp does not work but it is long enough to put over my head. I will never buy this again , very cheapily made. Not what I expected. Embarassed to give out christmas eve for what should have been lighted bulbs, as impression was given! These do NOT light up! Some of the other reviewers commented about the lights working or not. Folks, there are NO lights, just very TINY solid plastic pieces made to look like Christmas lights. Necklace is also short. The necklaces looked nothing like the picture. The picture above shows small bulbs with no beads between. What I got have large, ugly lights spaced far apart and equally ugly beads between. Nothing like the picture. I want to return them, but it will cost almost what I paid for them. Very, very disappointed. I received product that looked nothing like the picture. I am so disappointment and am going to return them. Did not give the gift. I will not buy from you again. Very pretty and topic of conversation. Bad part about it is the clasp is too heavy and pulls whole necklace toward the back and becomes a choker. My Granddaughter will love this. Thanks. To brighten up my Christmas attire. I love any kind of bling and some that lights up is even better. Meant to delete it. I do not want this. Fun and inexpensive small gift! Cute, wish it had matching earrings. Need for my small tree. It is for my 3 granddaughters for a fun Christmas item! One for me too! DO THE NECKLACE LIGHT UP AND DO WE GET THE EARRINGS WITH IT? BEST ANSWER: Thank you for your question. 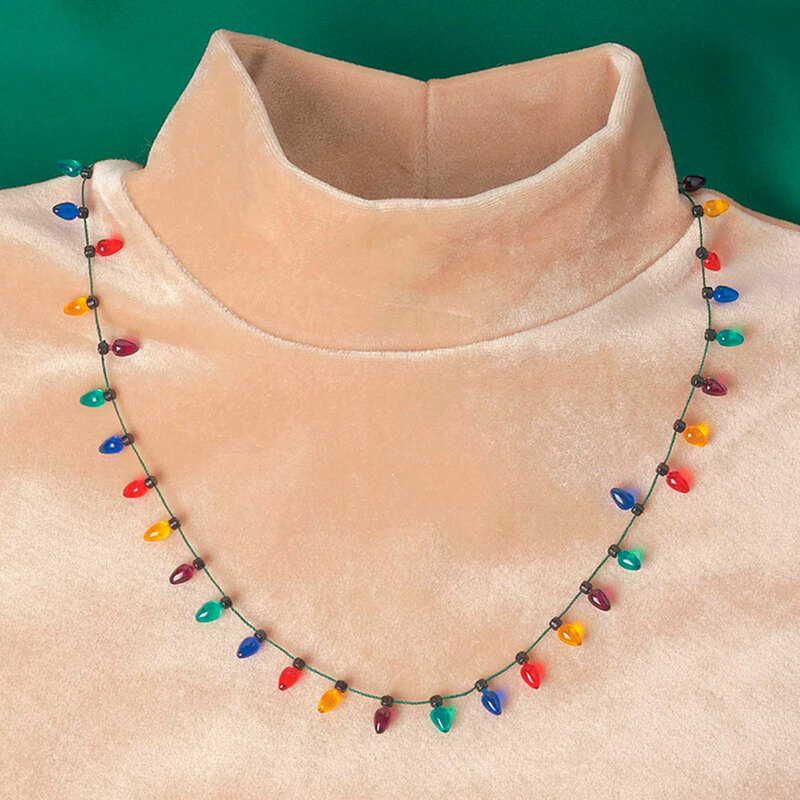 This necklace does not flash, you would need to order our Flashing Necklights. The earrings are not included. We hope this information will be of help to you.